ST. PAUL (August 2013) -- Minnesota Business magazine has named Skyline Exhibits as a finalist for the 2013 Minnesota Manufacturer of the Year Award. Skyline is one of three companies nominated in the Large Manufacturer awards category who will be recognized for the best overall achievement. The recognition comes to Skyline® just months after Skyline® won the PDMA Outstanding Corporate Innovator award. "The entire company of Skyline Exhibits is honored by this nomination," said Bill Dierberger, President of Skyline. "Skyline is well-known in our industry as a high-quality, innovative company, that builds it right and delivers it on-time. This nomination confirms that our team is very focused upon meeting our customers' needs and providing them with unique and valuable products that help them succeed. Skyline would also like to recognize the other solid Minnesota businesses in our category, Red Wing Shoe, and BTD. It is a great honor to be in their company." As a milestone demonstrating Skyline's innovation as a manufacturer, last month Skyline introduced Skyline® WindScape™ Exhibit System. It is the world's first air-powered exhibit system, and solves many of the display and event industry problems around weight, ease of set up/dismantle, drayage, and crate size. 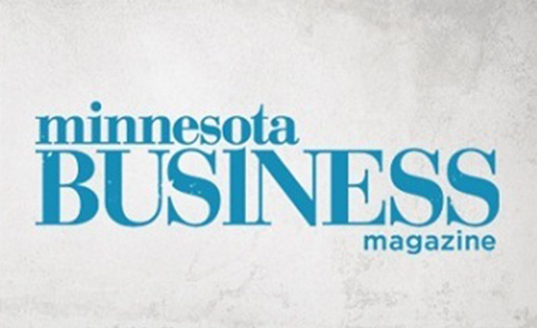 Each finalist for the 2013 Minnesota Manufacturer of the Year Award will be profiled in the October 2013 issue of the Minnesota Business magazine, and the winner of each category will be announced at a Sept. 24 awards event in Minneapolis, Minnesota.